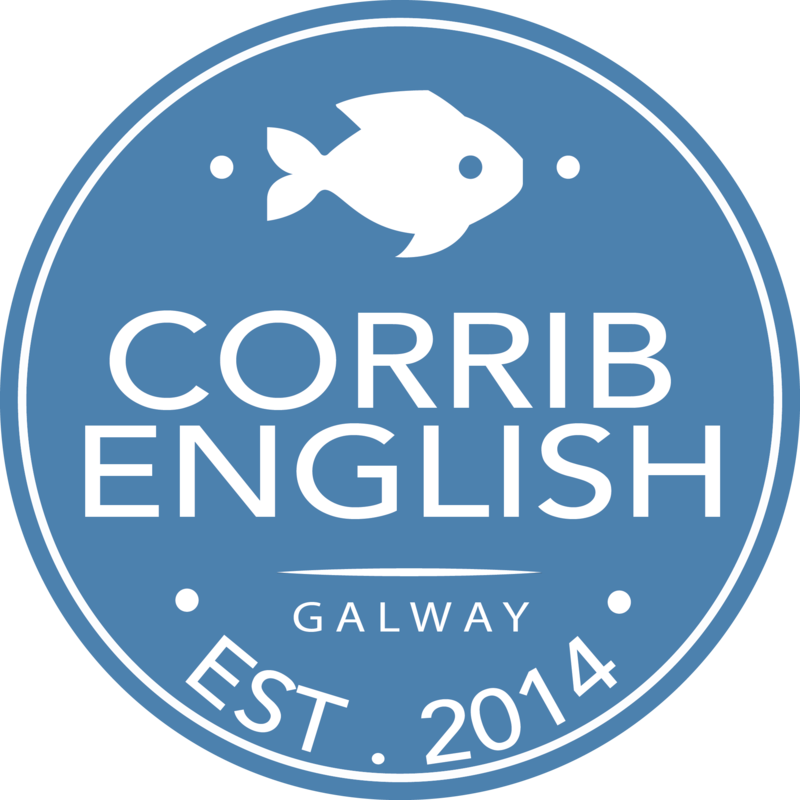 Corrib English offers General English from Pre-Intermediate (A2) to Advanced (C1) levels. Places are limited to just 6 students per class – so book your place early. 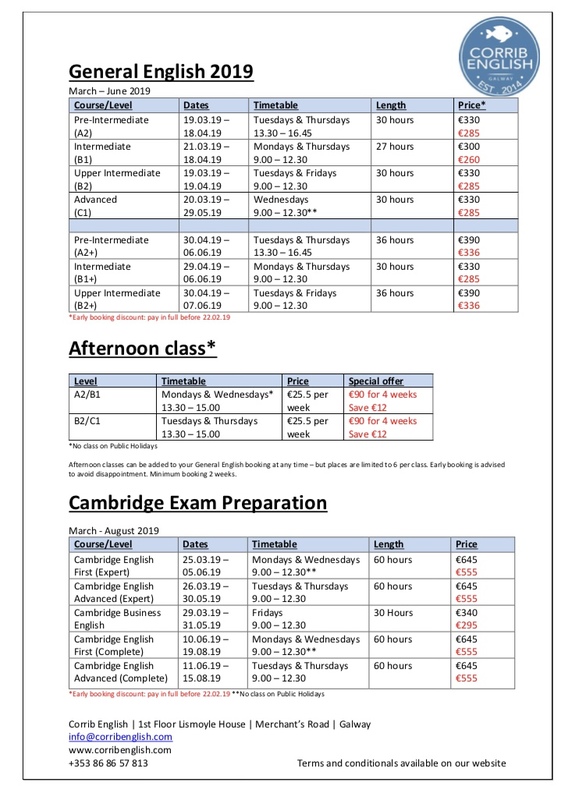 Our General English classes combine all the essential skills of a language – speaking, reading, writing and listening, as well as building grammar and vocabulary. 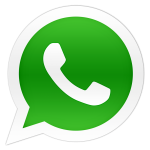 But we understand that communication is the most important thing – so our classes are always dynamic and full of energy. Not sure of your level? Get in touch and take our free Placement Test. 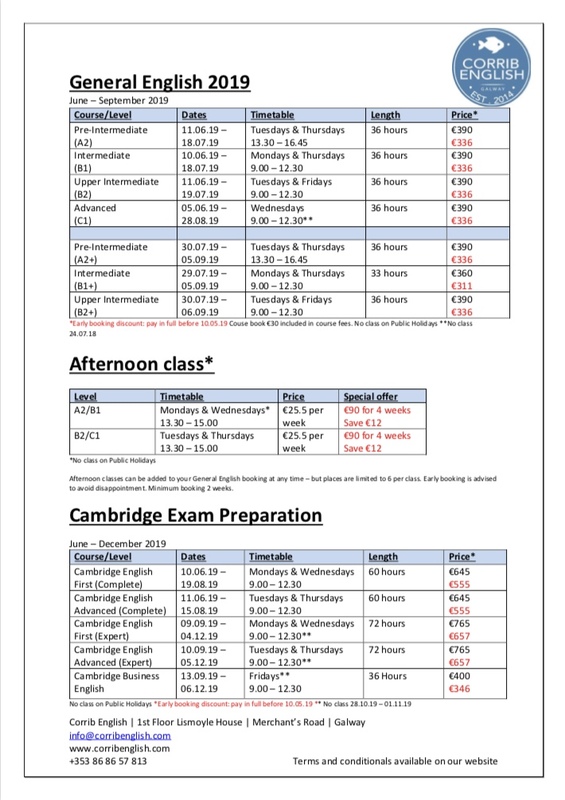 All our General English courses can be combined with our afternoon Conversation Classes. Check out our Package Deals.